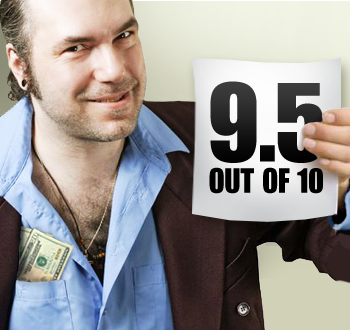 Most reviewers are honest, but convincing the public of that means dumping exclusive reviews for good. As everyone knows, the videogame press is just a mouthpiece for the PR departments of publishers and developers. This is especially true of reviewers, whose every opinion is up for sale as long as the price is right. This is almost always completely false, of course, but in Issue 278 of The Escapist, Jim Sterling says that some publications and outlets aren't doing much to prove people wrong. The very concept of review exclusivity does a complete disservice to consumers and goes against the idea of a review's existence in the first place ... I'm not one of those morons who scream "BIAS" or "MONEYHAT" over every little review, and I would never go so far as to outright accuse another reviewer of accepting some kind of dodgy deal behind closed doors ... [But] an exclusive review says that something has been brokered. It says that the publisher knew of and approved the content of that review before it went live. Whether it's true or not doesn't matter. It's all about appearances, and an exclusive review gives the appearance of something unethical transpiring in the shadows. Even if a reviewer is as honest as the day is long, the very fact that his review is up before everybody else's makes it look like he cut a deal and that colors the entire review. Sterling makes the case that being first with a review has very little benefit, and actually does more harm overall than good. You can read more about it in his article, "Opinions for Sale or Trade."